Homeowners look to Mellott Builders for the design ideas and inspiration to bring their dream home to life. 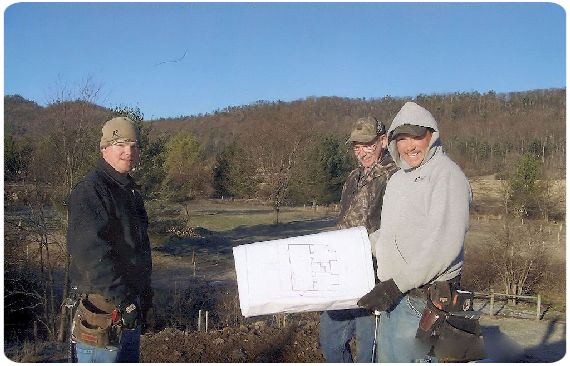 Mellott Builders’ homes can be completely custom designed or based on an existing floor plan. We have a variety of designs available which can be used as starting points for your new home. Nearly every detail of your new home-from carpet and paint to kitchen and vanities-can be customized to perfectly compliment your taste. Every home is unique and our showroom of options can be combined for virtually any look imaginable. Our design consultants are more than happy to lend their experience by assisting you in your choices. We value our client relationships and make every effort to ensure your new home is precisely what you desire. With Mellott Builders you’ll experience a level of customer service like never before. Your home is your masterpiece, and we’ll do everything in our power to bring your vision to life. Everything that matters to you is important to us, and we’ll ensure your needs become our priorities. Our philosophy has been built around the customers we serve. The core of our business is customer care and we take customer care very seriously. It is our most sincere promise that your home is everything you’ve dreamed of and your home building process is as worry free as possible.